The draws took place for this year’s West Championships on Friday night last in Dundrum. Three teams enter this year’s battle for the O’Dwyer Cup, Clonoulty/Rossmore, Eire Og Annacarty Donohill and Knockavilla Donaskeigh Kickhams. The championship will be run on the same format as the 2016 championship, round robin basis with top two teams meeting in this year’s decider. Clonoulty/Rossmore will go into the competition as defending champions for the first time since 2013. Eire Og Annacarty Donohill surrendered their crown in 2016 after winning three in a row, 2013, 14 and 15. Last year’s beaten finalists Knockavilla Donaskeigh Kickhams are the longest without the trophy having last been crowned champions in 2006. Eire Og Annacarty Donohill will play Clonoulty/Rossmore in Round 1. Seven teams take part in this year’s championship which is again run on a straight knockout basis. Sean Treacys will take on Golden/Kilfeacle in a repeat of last year’s final. Sean Treacys go in as defending champions after bridging a 13 year gap in 2016 to win their second title in the grade. They will look to become the first team since Galtee Rovers in 2010 (completing a four in a row) to retain the West Intermediate title. Indeed Galtee Rovers were the last champions to return to the following year’s final to defend their title. Golden/Kilfeacle defeated Cappawhite in the 2016 quarter finals after a replay before going on to defeat Lattin/Cullen Gaels in the semi-finals. 2015 champions Cashel King Cormacs take on 2013 Champions Arravale Rovers. Both sides were defeated by Sean Treacys in last year’s championship – Arravale Rovers (quarter) and Cashel King Cormacs (semi). 2014 champions and last year’s beaten semi-finalists Lattin/Cullen Gaels take on Cappawhite. Cappawhite were beaten quarter finalists in 2016 in their first season in the grade going down to Golden/Kilfeacle after a replay. Lattin/Cullen Gaels defeated Galtee Rovers in the 2016 quarter finals. Galtee Rovers beaten at quarter final stage in 2016. They last won title in 2010. Four teams will compete in this year’s West Junior A Hurling Championship. Clonoulty/Rossmore are defending champions and between Knockavilla Donaskeigh Kickhams and themselves they have claimed the last five titles in the grade. They will be joined by last year’s beaten finalists Emly and Rockwell Rovers who drop down from playing Intermediate for the last five seasons. The competition will be run on a round robin league basis with the top team going straight to the final and the second and third teams contesting the semi-final. Cashel King Cormacs are reigning champions and will be looking to become just the second team to retain the Jamesie O’Donoghue Cup following Cappawhite’s three in a row between 1997 and 1999. Arravale Rovers were beaten finalists in 2016. The last beaten finalists to return to the final the following year were Cashel King Cormacs (in 2012 losing to Rosegreen and 2013 losing to Golden/Kilfeacle after a replay). Golden/Kilfeacle were the last beaten finalists (in 2008 losing to Cashel King Cormacs) to return to the final twelve months later to lift the title (in 2009 beating Arravale Rovers in the final). Eleven teams enter this year’s competition. The competition will be divided into two groups. As in 2016 the group winners will go direct to the semi-finals while 2nd and 3rd in each group will qualify for the quarter finals. Group 1 is definitely very competitive – Galtee Rovers, Arravale Rovers, Cappawhite, Rosegreen, Sean Treacys and Cashel King Cormacs. There will be a repeat of last year’s final as Arravale and Cashel King Cormacs meet while there will as be a repeat of last year’s quarter finals as Sean Treacys meet Cashel King Cormacs and Arravale Rovers meet Cappawhite. Group 2 – Golden/Kilfeacle, Solohead, Eire Og Annacarty Donohill, Lattin/Cullen Gaels and Clonoulty/Rossmore. Solohead were beaten semi-finalists in 2016 while Eire Og Annacarty the 2015 champions drop back from playing Junior A in 2016. Six teams enter this year’s competition which will be run on a two group round robin basis with the top two teams in each group qualifying for the semi-finals. At U16A in 2015, Arravale Rovers were West champions defeating Cashel King Cormacs in the final. Knockavilla Donaskeigh Kickhams are the reigning champions having won their first title in the grade for nine years in 2016. Four teams enter this year’s West Minor B Hurling Championship – Clonoulty/Rossmore, Eire Og Annacarty Donohill, Lattin/Cullen and Rockwell/Rosegreen. The competition will be run on a round robin basis with the top team going to the final and the second and third teams playing in the semi-final. Rockwell/Rosegreen defeated Lattin/Cullen Gaels in the U16B Final in 2015. Four teams enter this year’s championship – Cashel King Cormacs, Clonoulty/Rossmore, Emly/Treacys and Knockavilla Donaskeigh Kickhams. Three years ago at Minor A, Clonoulty/Rossmore defeated Cashel King Cormacs in the final. Seven teams enter this year’s West U21B Hurling Championship which will be divided into two groups. The top two in each group will qualify for the semi-finals. Emly/Treacys were Minor B champions three years previous defeating Golden/Kilfeacle in the final. This is a straight knockout competition with four teams. There will be a repeat of last year’s final as Aherlow Gaels take on Galtee Rovers while in the other semi-final Arravale Rovers take Eire Og Annacarty Donohill. Aherlow were the last team to retain the title in 2010 while Arravale Rovers have won three of the last six titles in the Grade. Galtee Rovers were the 2014 champions while Eire Og Annacarty Donohill’s only success in the competition came in 2012. Four teams enter this year’s competition. Golden/Kilfeacle are the reigning champions having defeated Rockwell Rovers (who have won eight of the last ten titles) in last year’s final. They are joined by Cashel King Cormacs and last year’s County Junior A Football champions Clonoulty/Rossmore. The competition will run on a round robin basis with the top team qualifying for the final and 2nd playing 3rd in the semi-final. This year’s championship will be run on a single group round robin basis with the top four qualifying for the semi-finals (1 v 4 & 2v 3) – Arravale Rovers, Cappawhite, Emly, Knockavilla Donaskeigh Kickhams, Rosegreen and Sean Treacys. Sean Treacys are defending champions while Arravale Rovers return to Junior A having won the County Junior B title in 2016. A seven team competition which will be divided into two groups. The top two in each will qualify for the semi-finals. Three teams will play in this year’s U21A Football championship – Arravale Rovers, Galtee Rovers and Golden/Kilfeacle. This will be done on a round robin basis with the top two teams qualifying for the final. Arravale Rovers are defending champions having won the title for the first time since 2013. Galtee Rovers and Arravale Rovers qualified for the Minor equivalent three years ago. This competition has eight entrants and will be divided into two groups. The top team in each group will contest this year’s decider. Golden/Kilfeacle were Minor B champions in 2014 defeating Clonoulty/Rossmore in the final. Four teams in this year’s competition – Arravale Rovers, Galtee/Golden, Cashel King Cormacs and Knockavilla Donaskeigh Kickhams. The competition will run on a round robin basis with the top team going straight to the final and 2nd v 3rd meeting in the semi-final. Galtee/Golden are the defending West and County champions. In the U16 equivalent two years ago Galtee/Golden defeated Arravale Rovers in the West U16A Final. This year’s competition has six entrants and will be divided into two groups. The top team in each group will qualify for the semi-finals. Knockavilla Donaskeigh Kickhams were the U16B Champions in 2015 defeating Eire Og Annacarty Donohill in the final. No sooner has the dust settled on 2016 and the 2017 championship begins with the first round of the McGrath Oil sponsored West U21A and B championships going ahead this Sunday. In the A championship Golden/Kilfeacle take on Arravale Rovers in Bansha. In Group 1 of the B Championship, Rockwell/Rosegreen meet Clonoulty/Rossmore in Cashel while in Clonoulty, Cashel King Cormacs will take on Emly/Treacys. In Group 2, Knockavilla Donaskeigh Kickhams and Eire Og Annacarty Donohill clash in Solohead. Aherlow Gaels take on Cappawhite Gaels in Sean Treacy Park. All games throw in at 11.30am. 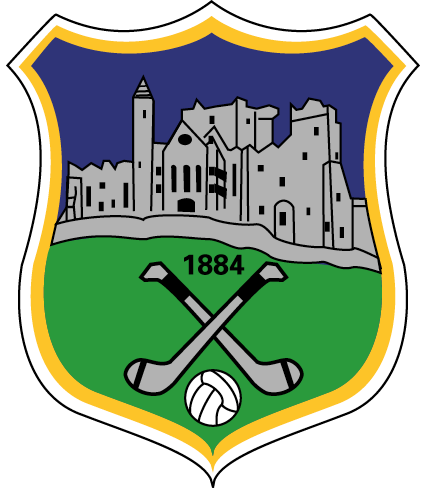 The Tipperary County Board Strategic Review Committee has embarked on an Online Questionnaire on a range of topics, to get a real insight into opinions about the GAA in Tipperary. The exercise is part of a broader strategic review currently underway, to form an understanding of where we stand at present and how we can develop in the future. Feedback received will form the basis of a new Strategic Plan for the GAA in the county. In seeking to be a successful organisation that is supported by effective strategies, structures and systems, it is important that all stakeholders, including members, officials, players and the wider community are consulted to elicit as broad a range of views as possible. Details of the surveys have been sent to all clubs and the cooperation of club officers is sought to ensure that the views of a wide range of players and officials are included. The closing date for all surveys has been extended to 5th February. The 1st round of the Fitzgibbon Cup took place last Tuesday and Wednesday. Mark Russell (Lattin/Cullen) was on the Carlow IT team which defeated DIT. Liam Fahy (Rockwell Rovers) was on the DCU team that defeated WIT which included Tom Fox (Eire Og Annacarty Donohill). Sean Ryan (Sean Treacys) is on the LIT panel who had a comfortable victory over Trinity College. Andrew O’Brien (Sean Treacys) is on the Mary Immaculate panel which defeated GMIT. Commiserations to Eamon Buckley in his bid to become Munster Council treasurer at the Munster Convention on Saturday last.